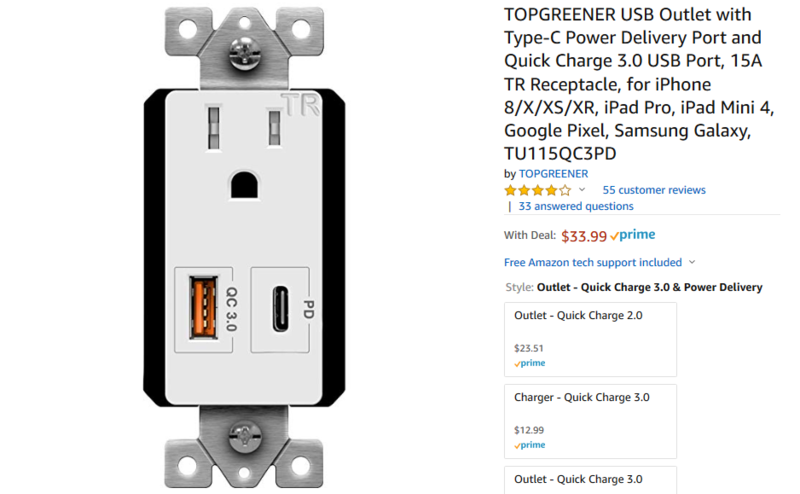 You've probably seen wall outlets with built-in USB ports, but this outlet from TopGreener is pretty special. Not only does it have a USB Type-A connector, but the connector supports Qualcomm QuickCharge 3.0, and there's an additional Type-C port. The wall outlet is now $33.99 on Amazon, a $6 reduction from the original price. 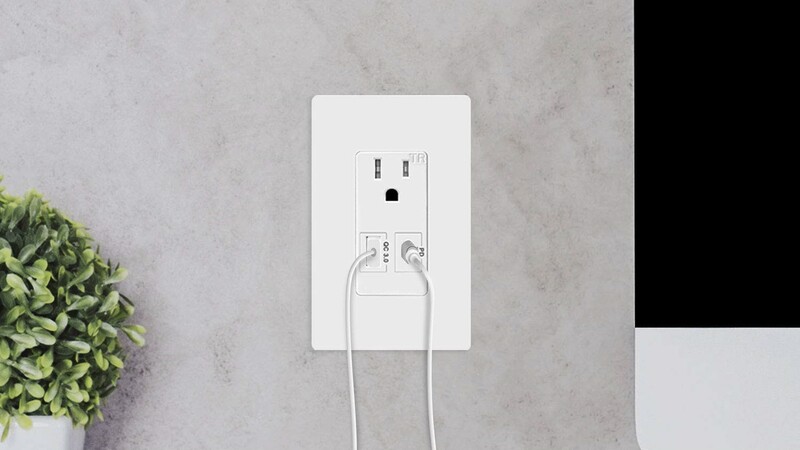 The plug has one regular wall outlet, one USB Type-A port with Qualcomm Quick Charge 3.0 (up to 18W), and one USB Type-C connector with USB-PD charging (up to 18W). In other words, you can rapidly charge just about any modern phone with no power adapters — including the Galaxy S8/S9/S10, Galaxy Note 8/9, Google Pixel 1/2/3, LG G7, Essential Phone, and more.